Attend this unprecedented solo recital featuring the timeless music of J.S. 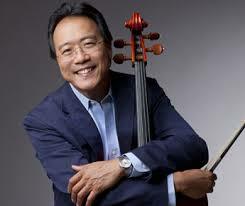 Bach performed by world-renowned cellist Yo-Yo Ma AB '76, DMU '91! If you RSVP before September 1st, your tickets will be mailed to you, so you can coordinate your own arrival at the Hollywood Bowl. Note: If your mailing address for the tickets is different from the billing address you enter when you purchase your tickets, let us know. If you RSVP after September 1st, we will be in touch to coordinate your ticket pick-up.